Easter egg hunting Season is almost here and the rolling fields, magical woodlands, glacial lakes and large country estates are an eggcellent place to enjoy a treasure hunt. No digging around for clues for things to do this Easter as we’ve pulled together a list of crackin’ Easter Trails taking place across the Lake District this Easter. Headlining this year is the Lake District’s top digital egg hunt – Where is Peter Rabbit? Treasure Trail 2018. It is not Peter Rabbit you are on the look out for, but 100 beautiful ceramic Peter Rabbit eggs, hidden in top-secret Lake District locations by award-winning attraction, The World of Beatrix Potter. Over 700 people took part last year in this digital treasure hunt, that uses an interactive Treasure Map via Google Maps. The digital aspect gives a really eggciting edge to this hunt as participants compete to follow the cryptic clues on the digital Treasure Map and find an egg, which could be anywhere in the Lake District. The eggs are removed from the digital treasure map as they are found throughout the day and in the afternoon prizes are claimed at The World of Beatrix Potter in Bowness. There are top prizes up for grabs, including a stay with us! One of the 100 prizes is a three-night luxury escape with Lakelovers, Lake District Holiday Cottages. What could be better than relaxing with the family and pets at the charming Roe Deer Cottage near Hawkshead. And what’s more, this treasure hunt has a conscience too. Entry is a £5 donation to WaterAid and an impressive £3000 was raised last year. Over 700 eggsplorers took part last year and registration online opens on the 1st of March, so set a calendar reminder! 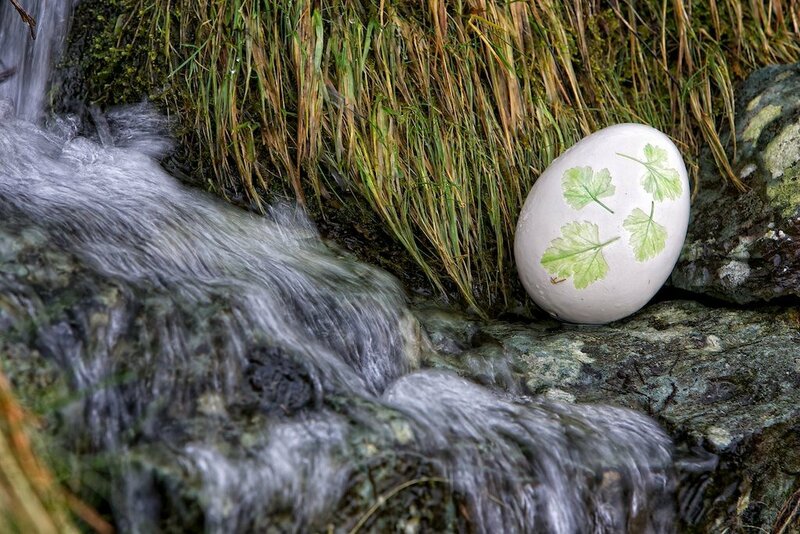 Join the eggcitement looking for 100 ceramic eggs across the Lake District in the ‘Where is Peter Raibbit’ Treasure Trail – three nights at Lakelovers cottage up for grabs as top prize! For those looking for a guaranteed prize, the National Trust are hosting 9 nature inspired Easter Egg Hunts and Trails in the South Lakes with a choccy treat for all. Complete the nature discovery trail at Claife Viewing Station on Windermere’s western shore, to claim your delicious Cadbury treat. There’s also a nature trail at Tarn Howes, northeast of Coniston, where you will be on the look out for fantastic feathered friends and monstrous mini beasts as you complete nature trails to claim your special Cadbury Easter treat. Off the beaten track, find the colourful eggs scattered around Fell Foot, Newbry Bridge on south Windermere, and unscramble the clues. Once you have discovered the secret word, you can claim your Cadbury chocolate prize. On Windermere’s western shore, at Wray Castle there will be an Easter Egg Hunt for little ones and one for older children too that are inspired by wildlife homes. Enjoy a family Egg Hunt around Beatrix Potter’s much loved home, Hill Top (Near Sawrey) or a garden Egg Hunt at Townend in Beatrix Potter’s favourite Lake District valley, Troutbeck. In Wordsworth’s much-loved home of Grasmere, head to Allen Bank to follow the woodland animal themed Egg Hunt and claim your chocolatey prize. Over 10 Egg Hunts taking place in National Trust properties across the Lake District with a choppy prize for everyone! Take a particularly memorable ride on a special Cadbury Easter Egg Hunt cruise on Coniston Water this Easter. What wildlife will you spot as you travel in luxurious style aboard this beautifully restored Victorian cruiser. What better place for an egg hunt than this South Lakes farm park, which is home to one of the largest Maize Maze’s in the UK. The farm opens for Easter 2018, and has recently welcomed spring lambs to the farm. As well as their popular egg hunt, there’s lots to keep little bunnies entertainment no matter what the weather. Indoor, there’s soft play with bouncy slide and a straw maze, pets barn and cafe and outdoors, as well as the large animal farm there’s trampolines and giant adventure play area, karting and the very popular tractor and trailer rides. No need to book, just turn up and enjoy drop-in Easter and Spring craft sessions (£2 each per child for 1 hour) and a Giant Spring Trail and Easter Egg Hunt around the gardens at Brockhole, right on Lake Windermere’s shore. The egg hunt is £3, and includes a surprise gift for everyone! Dragon’s have laid eggs around the sprawling Lowther Castle Estate gardens. Follow the trail and choccy treats await those that manage to find all of the mysterious eggs. Dragon-slayers can then head to the wooden Lowther Castle replica ‘Lost Castle’ and re-fuel at the nearby ‘into the woods’ woodland food hut. The wooden adventure play castle is the largest in the uk! Don’t forget that the Lake District’s most-loved bunny returns to the big screen this March in Sony’s new Peter Rabbit movie, premiering in the UK in March.